Starr McAlexander’s innate love of and intrinsic aptitude for horses began at the young age of 5. As a founder of Spirit Song Youth Equestrian Academy (SS YEA! ), she is focusing 55 years of personal development and professional skill in horse ownership, training, and management to benefit youth. Starr recognizes that each child is a blessing, possessing great worth, and is devoted to building self-worth and purpose in her students of all ages. In each learning session, she adjusts riding, groundwork, and training styles to match the needs of each individual to that of the horse. This truly remarkable connection encourages youth to reach for and to achieve their highest, God-given potential. Beginning with membership in a local 4-H Horse and Pony Club in Pennsylvania, Starr continued honing her centered riding and jumping skills with many wise trainers, learning diverse riding and training techniques – all having the common theme of producing a well-balanced and safe horse to ride as well as one that is pleasant to be around. 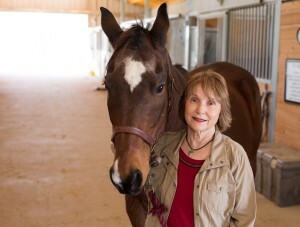 In 1997, Starr founded Two Point Meadows Riding Academy in Murphy, Texas, devoting her time to teaching students affiliated with the U.S. Pony Club. It was during this time she started working with foster children and other youth who were experiencing some form of life trauma (opportunities looking for a solution), which revealed the opportunity for pairing her horses with youth looking for a friend and searching for purpose and self-worth. While creating and developing this new path to youth instruction, from 2000 to 2004, she became a horse management judge for the US Pony Club’s Dressage, Eventing, and Show Jumping regional rallies. She became well versed in the need to maintain students’ levels of confidence in their abilities and promote safe riding practices. Since 2008, Starr has nurtured a family oriented riding atmosphere for children and youth at SS YEA! in which involvement of the parent(s) is encouraged. She takes pride in each student’s growth and achievement, insuring that each learning session is focused on developing an individualized and personalized life skill and quality. Key to the success of her tailored, learning program is the debriefing that occurs after each session with the student and the parent(s). Several of her students have successfully progressed to university equestrian team status. Others continue to support SS YEA!, assisting in student instruction, horse training, and summer camps. She is proud of each of her students and believes that SS YEA! has successfully brightened each student’s belief in self and personal life purpose. 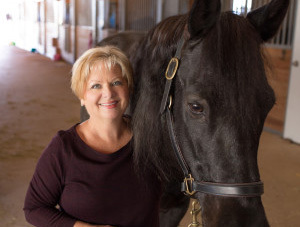 Starr is certified in both Level I and Level II as an Advanced Practitioner with the Equine Experiential Education Association (E3A), having a Specialty in Personal Development and Wellbeing. Alison Selby is a lifelong student of the horse. She spent her formative years showing horses in disciplines as diverse as hunters and jumpers to rodeo events. 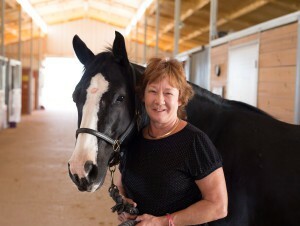 During her final year toward completion of her degree in Art Education at Northeast Missouri State University, she was accepted into the highly regarded Horsemaster’s program at the Potomac Horse Center in Gaithersburg, Maryland. There, she was exposed to Olympic-caliber riders and instruction in dressage and 3-day eventing. She continued her horse education at Belmont Park in New York where, for the next 18 years, she was the exercise rider for over 30,000 thoroughbred racehorses, working for such legendary trainers as Woody Stephens, winner of 5 consecutive Belmont Stakes, and H. Allen Jerkens, who was the trainer of not one, but two horses to upset the mighty Secretariat. During her time in New York, Alison earned a BA in Psychology at New York University. She completed her Master of Science in Social Work at University of Texas at Arlington, with a concentration in Direct Practice and a special interest in adolescents. She is a Path, International Certified Advanced Instructor and is certified in both Level I and Level II as an Advanced Practitioner with the Equine Experiential Education Association (E3A), having a Specialty in Personal Development and Wellbeing. Charissa Stoltzfus grew up in Lancaster County, Pennsylvania with three younger brothers. 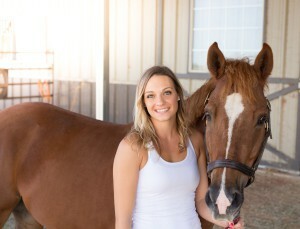 Charissa has been around horses since she was a young girl; and she competed in Hunter/Jumper classes for several years. Her other interests include college football, diesel trucks, and her Jack Russell, Mickie. Charissa graduated from Penn State University in 2011 with a Bachelor’s degree in Psychology. After graduation, she moved to Texas to work at SS YEA!. With a desire to make a difference, she wanted to pursue a career in which she could combine her passion for horses with her psychology degree. She is now pursuing a Master’s degree in Marriage and Family Therapy from Liberty University. Debbie Arledge has lived in the Dallas area since she was twelve years old. She attended the Plano Schools and graduated from Plano Senior High. Debbie is a graduate of Stephen F. Austin University where she received a Bachelors degree in Elementary and Deaf Education. Debbie retired from teaching elementary school in May 2014, after 28 years. Over the years, She has worked with the hearing impaired population, children with learning differences, co-directed a children’s ministry and taught first grade. All of these past experiences have made her transition to SS YEA! the perfect fit! She began working at SS YEA! in June 2014. Debbie is married and has two grown children and two grandchildren. She has always loved horses and dreamed of having one of my own! Now, she lives out her dream every day here at SS YEA!. Debbie says, “I have combined two of my loves; working with children and horses!” Debbie is certified as a Level I E3A Practitioner.